Rochester blues drummer extraordinaire Ralph "Uncle Ralph" Bushey passed away Wednesday, March 8, from complications following a stroke. 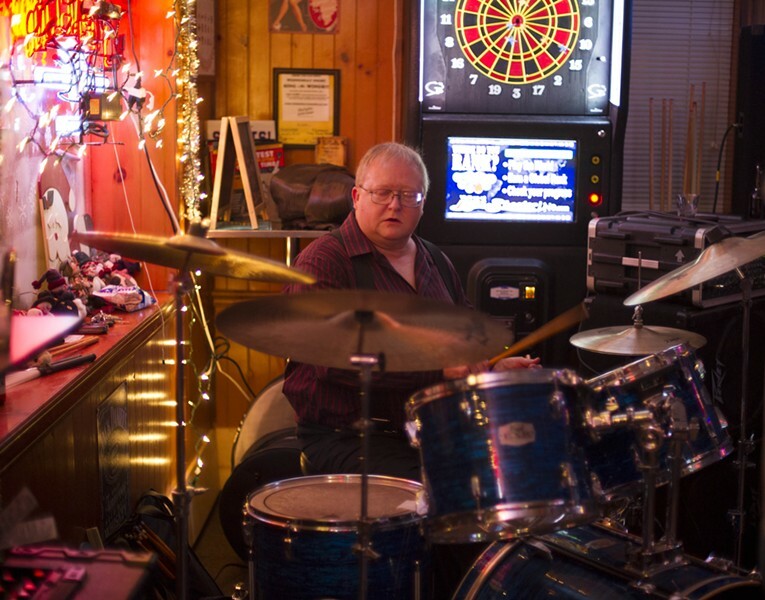 Bushey, who was 58, was a beloved member of the music scene in Rochester as the drummer for the Nightstalkers, where he was a solid, in the pocket player. Friends and fellow musicians, like guitarist Dave Riccioni, remember his prowess on the throne. "He was a solid player," says Riccioni, who started up the Nightstalkers with Bushey and the late Marshall James in the early 1990's. "He had a groove like no other." Bushey also elevated the grilled steak to high art when in 1995 he started Uncle Ralph's Steakout, which would set up at different locales throughout the week. He also had a line of "Uncle Ralph's MAGIC Sauce." Being around Ralph meant you weren't hungry, and you were probably singing along. He was a friend to all those in his life, and even more to many. "He was a big-hearted guy," Riccioni says. "He was a brother to me."